His house is the Taiga. He is a holder of sports awards in skiing and parachuting. And he has a pistol of the “Nagan” brand. 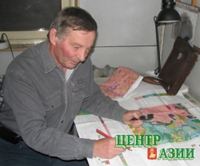 He is a veteran of work, holder of a memorial medal “300 years of mining-geological service to Russia”. He is an expert prospector of the depths of the earth, who discovered, in Tuva, the Kara-Beldir golden knot. He is a geologist. For young people, who are coming back to the profession that was once surrounded by romanticism, the profession which suffered a temporary set-back during the post-perestroika times, he is a living legend. He is Valeriy Serafimovich Gorshkov, and for those that know him, simply Serafimych. Tuva became the 248th place in the world playing the host to the “Drum of the World” (or Drum of Peace). The sacred drum has been traveling through the world with the message to “Stop the War between People and Nature” since 2006. This long trip started in Oslo, in Norway. 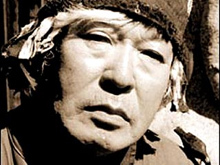 In Tuva, the ceremony of blessing of the drum was performed by the legendary shamanologist, senior worker of the museum of the republic, the 84-year-old Doctor of Historical Sciences, Mongush Kenin-Lopsan. 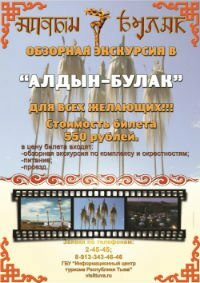 At the end of May, a grand ethno-rock-festival “Ocean of Compassion” will take place in the capital of Kalmykia. Famous performers of ethnic music from countries and regions of the spread of Tibetan Buddhism, that is, Kalmykia, Buryatia, Tuva, Mongolia and Tibet will participate. After the end of the festival, the participants will give a charity concert in Moscow. 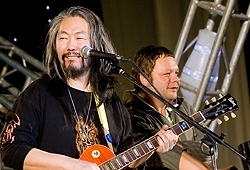 On June 2, in the Moscow International House of Music, Tibetan lamas of the Dzongkar Chode monastery who are the experts in the art of ritual dances; the Tuvan singer Sainkho Namtchylak, who has been called “the magic voice of Tuva”; Tibetan vocalist Loten Namling with his experimental project Tibet-Blues, which he created with a French jazz musician, Buryat singer Badma Khanda, Tuvan khoomeizhi Andrei Mongush, group Namgar, orchestra Yoryal from Kalmykia and other musicians, who have dedicated their lives to preservation of the energy of good-will and compassion, which filled the songs of their ancestors, will perform on the same stage for the first time. The Supreme Lama of Kalmykia, Telo Tulku Rimpoche, will also participate in this concert. The Days of Tuva in Krasnoyarsk started off on May14, 2009, by the signature of Agreement of Co-operation between the business organization of Siberia “Siberia without borders” and the Union of Businessmen of Tuva. The document, anticipating mutual interactions between the business communities of Tuva and Krasnoyarsk region, was signed by Eres Chuldum and Valerii Malanin. It seems that there are no more “white spots” left in the history of WWII. However, some pages of the history seem to have been more of less forgotten. The part of Tuvan National Republic as an ally of the USSR has been almost completely left out. Even though the help from Mongolia has been described in detail, there was practically no mention of Tuva. 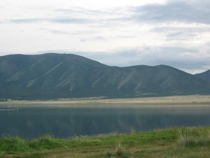 The Days of Tuva in Krasnoyarsk region will open on May 15. In the morning, meetings between the leadership of Tuva and the students and aspirants of Siberian federal university will take place. Then the Agreement of co-operation between the two neighboring regions will be signed in the building of the Administration. One of the exhibitions presented will include photographs of Old Tuva from the early years of the last century, which were taken by a native of Krasnoyarsk region, who later became the first photographer of Tuva, and the first director of the Tuvan museum, Vladimir Yermolaev. Tuva, the republic in the center of Asia, celebrated its Day of the Constitution together with its neighbors. 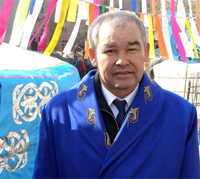 On May 6, an official delegation from Khakassia, headed by the Chairman of the Government, Viktor Zimin, arrived in Kyzyl. Together with the members of the government, a large contingent of Khakass businessmen also arrived as members of the delegation, on the new morning Abakan-Kyzyl flight. The famous rock-musician Albert Kuvezhin of the legendary group Yat-Kha, the only group in Russia which won a Grand-Prix in the annual international competition BBC Radio 3 Awards in World Music in 2002, received the title “Merited Artist of Republic Tuva”. The government award was given to the remarkable rocker at his concert in Kyzyl by the head of the republic, Sholban Kara-ool.